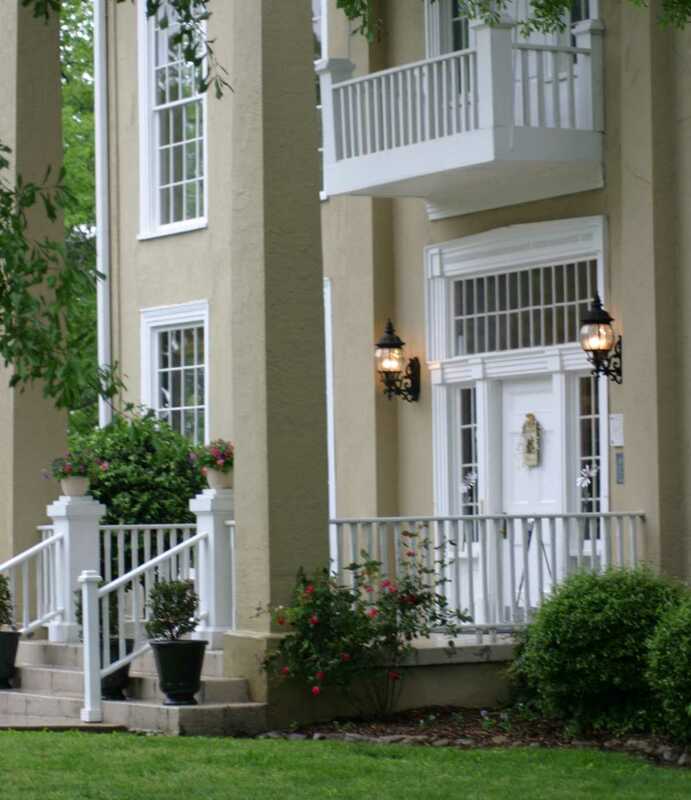 POLLY CLAIRE'S, is located in the beautiful Historic Dent House, circa 1854. 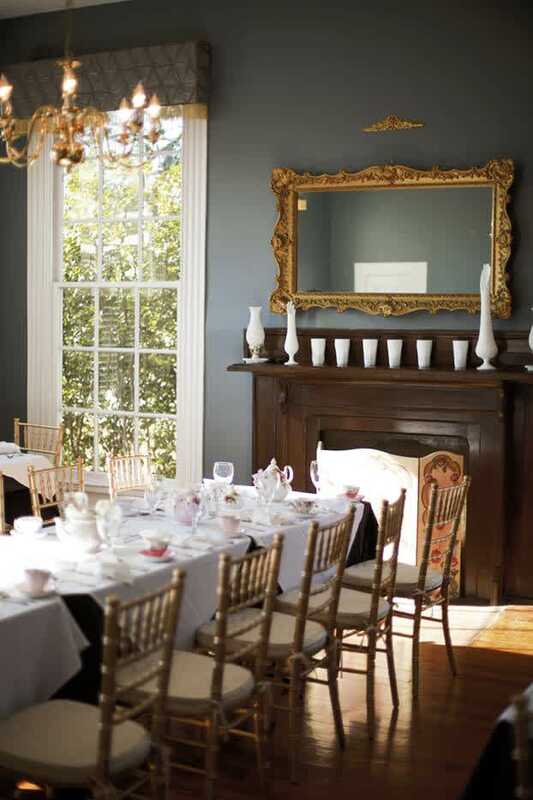 As the only standing antebellum house in Chattanooga, Polly Claire's cordially invites you to tour the home and dine Monday through Friday, 11am-4pm for Lunch or High Tea, or on Saturday 11:00am-5:00pm. 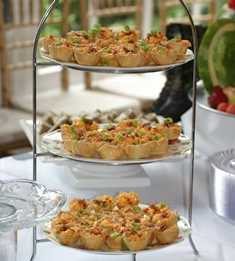 Date Nights, Ladies Night Out and other special candlelight dinners are available, view dates at pollyclaires.com. 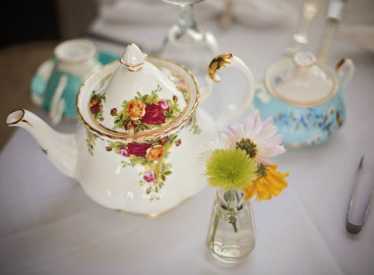 Reservations are highly suggested by calling 423-521-4832 (4TEA) or online at PollyClaires.com. 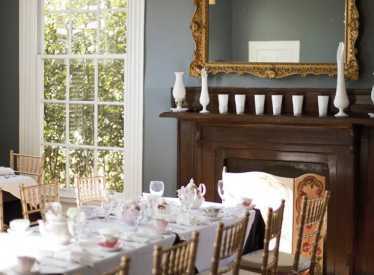 The iconic mansion has seven dining rooms with 14 foot high ceilings and windows. 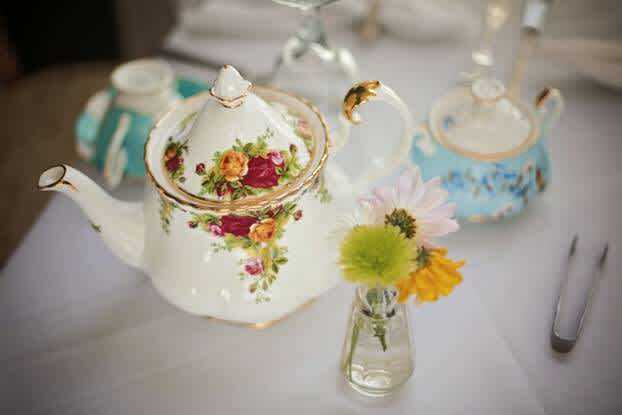 White linen table cloths, elegant Royal Albert China paired with excellent service will pamper and spoil every guest. 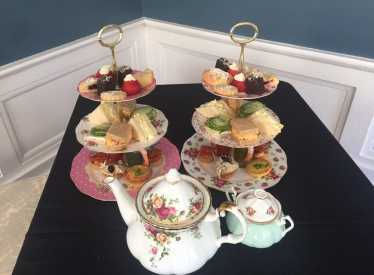 Well known for vanilla bean scones with fresh jam and curd, Shepard's Pie, and three tiered afternoon tea service, the extensive menu is all handmade in the historic kitchen. 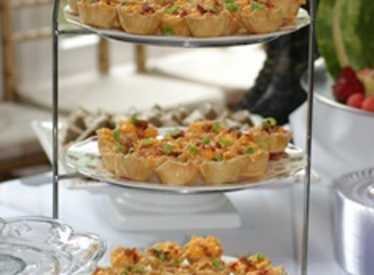 Dinner menus change monthly with Beef Wellington and Lobster Bisque being favorite staples. Browse the gift shop for unique finds. Walk the lovely fountained park and grounds after your visit. 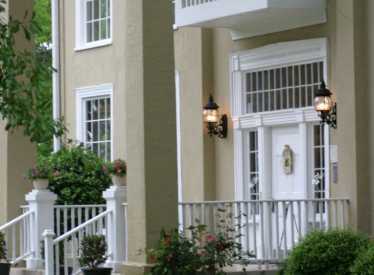 Located 12 minutes North of Downtown within the Chattanooga City limits.